The Confessional Lutheran Church in Romania and its pastor are bringing the true Gospel to Romanians. The Rev. Sorin-Horia Trifa, pastor of the Confessional Lutheran Church in Romania, leads Bible study before worship in Bucharest. 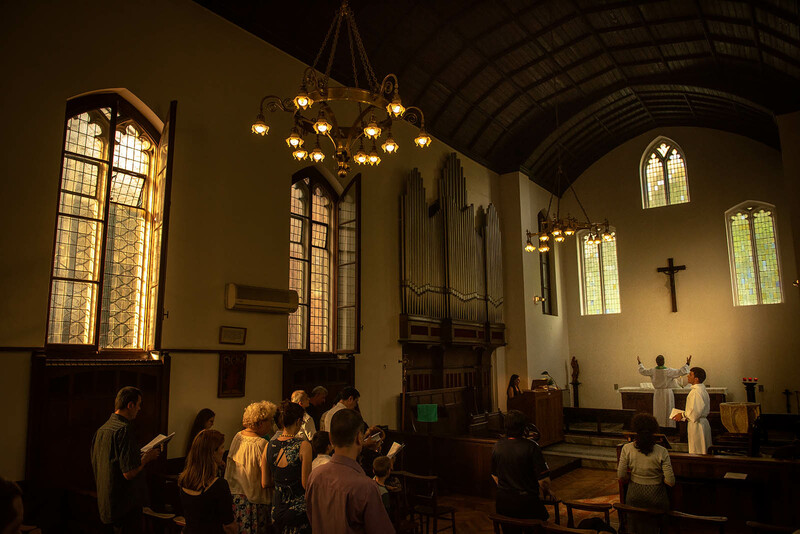 Biserica Lutherană Confesională din România (Confessional Lutheran Church in Romania), a small Lutheran congregation in the middle of the Romanian capital city of Bucharest, gathers around the pure and true proclamation of the Gospel and the scriptural administration of the Sacraments. Watch an interview with Trifa as he discusses Romanian culture and the Eastern Orthodox Church. The Romanian landscape is full of large churches and monasteries. Unlike most of Europe, the churches are not empty. People regularly visit these sanctuaries to ask for prayers, listen to services and kiss relics — crossing themselves many times throughout their comings and goings. Yet, in the midst of this piety, the true Gospel is rare. 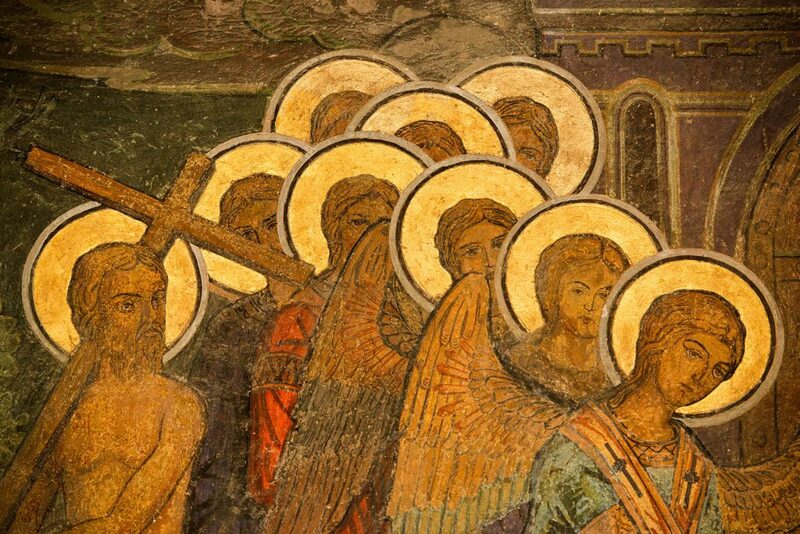 Painted artwork on the exterior walls of the Romanian Orthodox Patriarchal Cathedral in Bucharest, Romania. An Orthodox church in Bucharest. 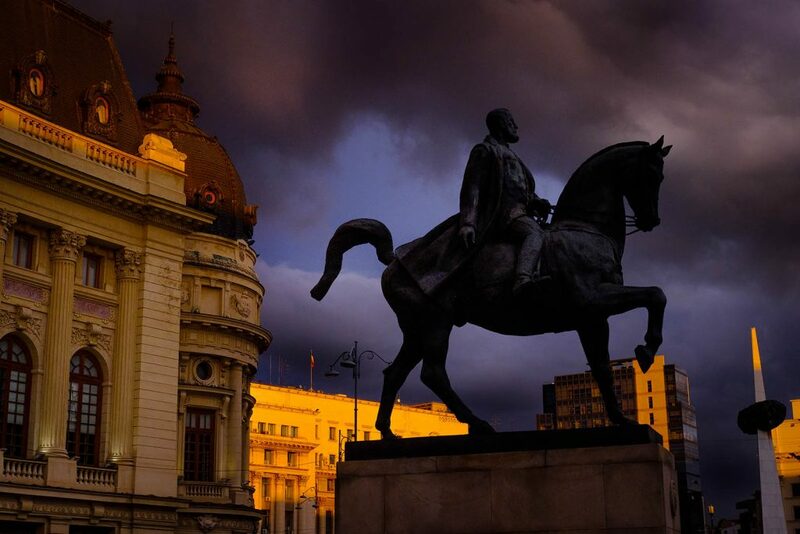 The equestrian statue of Carol I, the first king of Romania. “To be Romanian is to be Orthodox,” says a common Romanian adage. Though religious freedom is granted to the Romanian people, the Orthodox church is tied to the government and is central to the lives of many Romanians. 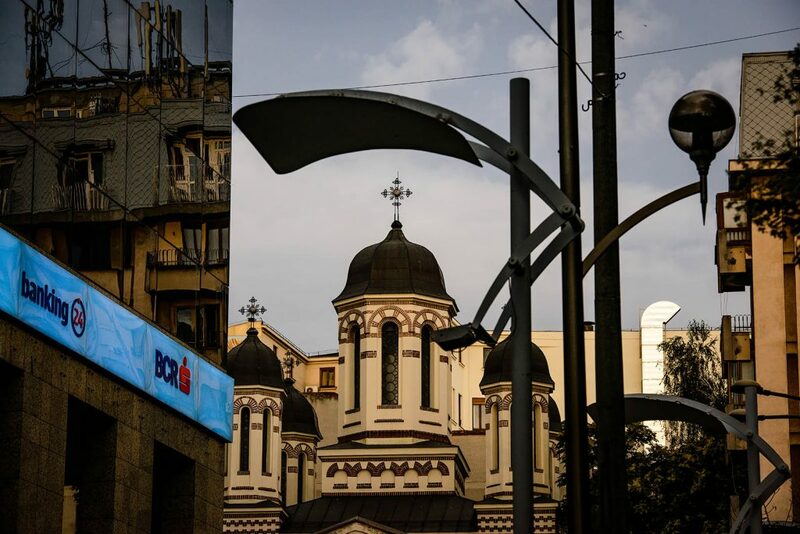 The Orthodox in Bucharest are proud to say that their church remains unaffected by the Reformation, which never progressed past the Carpathian Mountains. Today in these Orthodox churches, relics are available for kissing, the bodies of saints are on display and priests are waiting to say prayers. All at a cost. Money boxes are placed prominently near icons, saints and mosaics. The priests’ prayers are available for a price. Weddings, funerals, Baptisms and other services can be had for a fee. To a Lutheran, this all sounds like echoes of a former era before Luther corrected the church’s practice of offering salvation for a price. 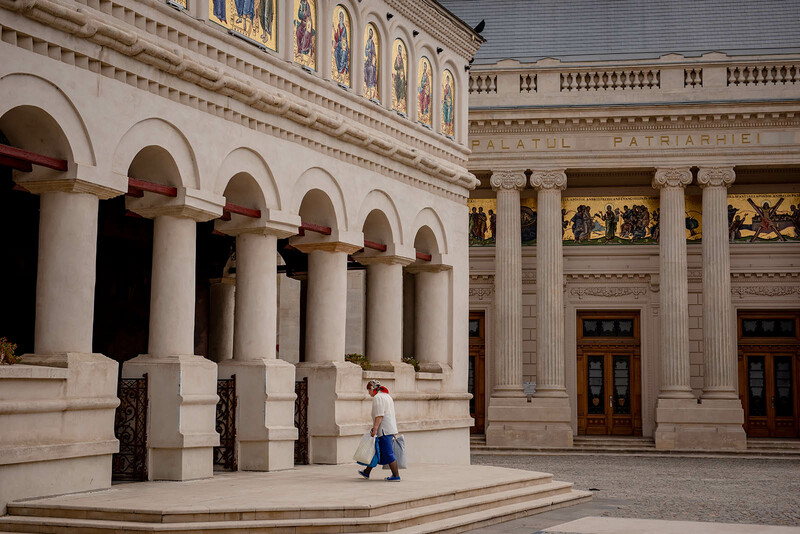 A woman walks into the Romanian Orthodox Patriarchal Cathedral in Bucharest. But in spite of the Carpathian Mountains and the Eastern Orthodox Church, the Lutheran church is in Bucharest. The historic Lutheran churches have departed from traditional biblical Christianity. 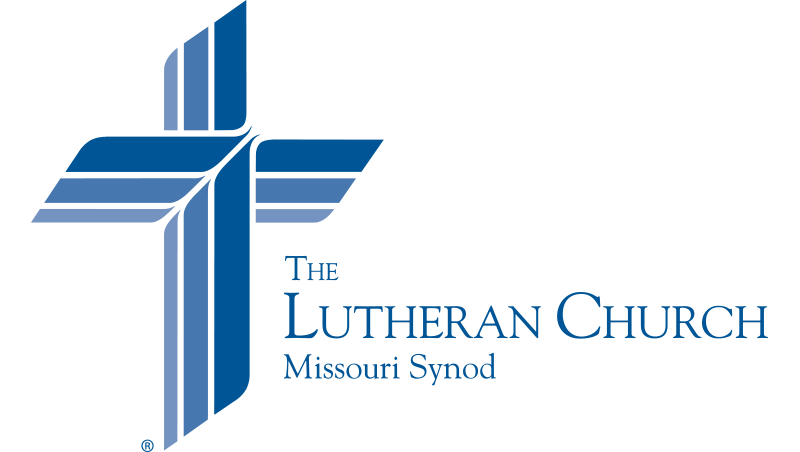 In addition to their theological issues, they preach in their native languages — the German Lutherans preach in German and the Hungarian Lutherans preach in Hungarian. This reinforces the axiom that to be Romanian is to be Orthodox, and to be Lutheran is to be a foreigner. 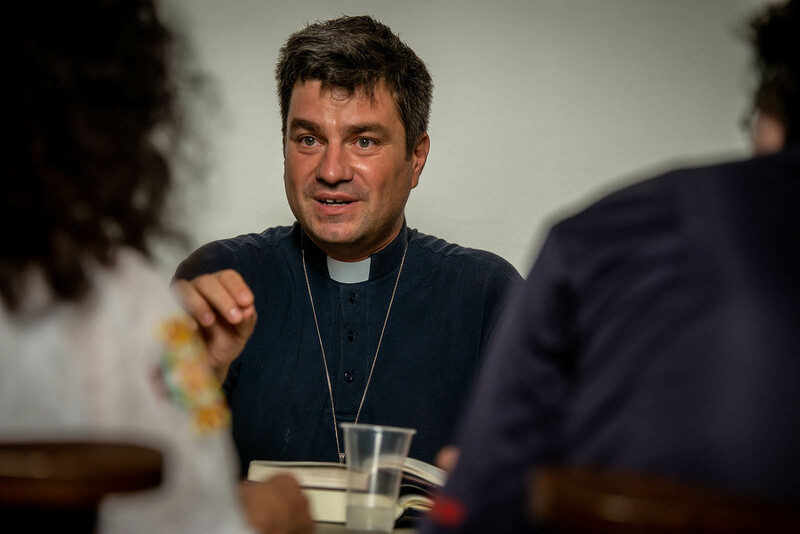 To bring the true Gospel to his fellow Romanians, Trifa offers Bible study twice a week; appears on a TV show when invited, which affords him the opportunity to explain Lutheran doctrine; and serves as a pastor, including offering regular preaching and worship. In addition, Trifa has begun work in Padua, Italy, where he preaches in Italian to a small group who are beginning a congregation. 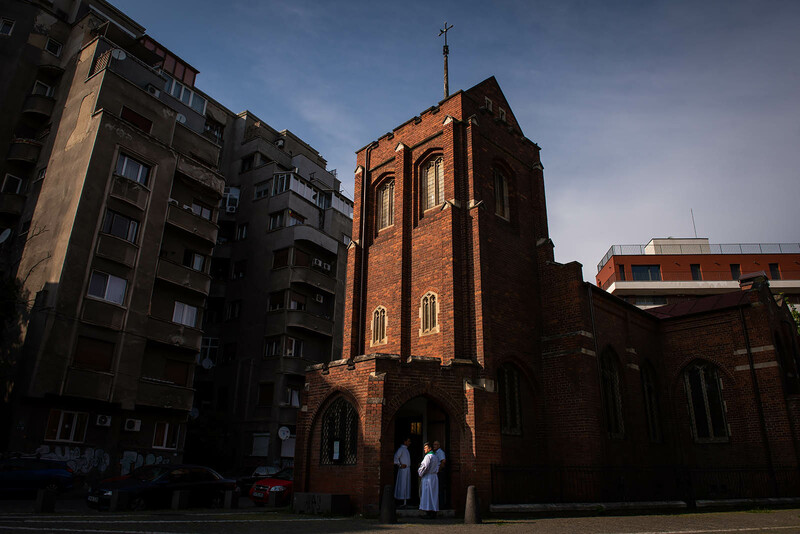 Trifa waits for visitors and church members to arrive for worship on July 22, 2018, in Bucharest. “The sermon is God’s truth, centered on love,” said Maria Niculescu, a member of the church and a professional poet. Niculescu explained that she used to be far from God. But then she heard about Pastor Trifa and his congregation. “God works through people,” she said. “They brought me here.” The people brought her, and now God’s Word strengthens her faith and keeps her in the faith. Niculescu said the preaching is her favorite part of church, because she hears the true Word of God. 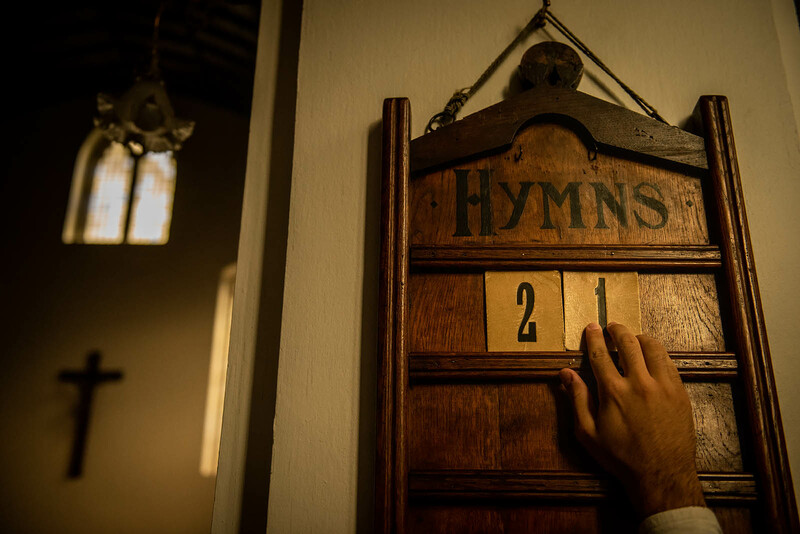 Trifa’s son, Sergiu, arranges the hymn board before worship. Trifa welcomes members and guests to church. Ghiurca Adrian, a former Catholic priest, worships in Bucharest. Trifa organizes copies of the catechism. Currently, Trifa’s congregation meets in an Anglican church building, which they rent for a few hours every weekend. The congregation yearns for a space of their own where they can offer more opportunities for instruction, community events and, especially, worship. 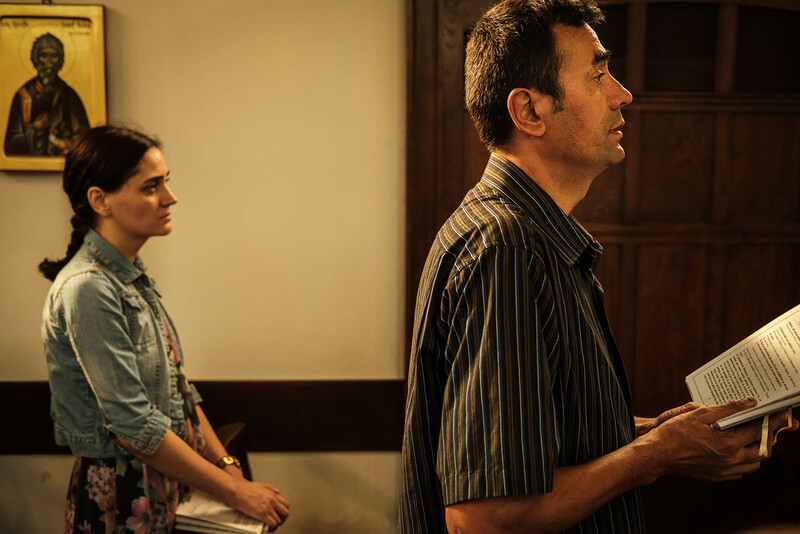 As Trifa lays the foundation for a confessional Lutheran church in Romania, one of his largest obstacles is the availability of accurate Lutheran material in Romanian. The present Romanian writings about Luther and the Lutheran church were not written by Lutherans. In addition to his work as missionary and pastor, Trifa also is pursuing further education, including a Master of Sacred Theology degree from Gothenburg, Sweden, in coordination with Concordia Theological Seminary, Fort Wayne, Ind., and a doctorate from the University of Bucharest. This additional education will allow him to provide instruction and material for the Confessional Lutheran Church in Romania as it moves forward. To fill the void of good Romanian Lutheran materials, Trifa is writing and translating confessional Lutheran documents. Sergiu Trifa, his teenage son, worked with him to translate Luther’s Small Catechism. 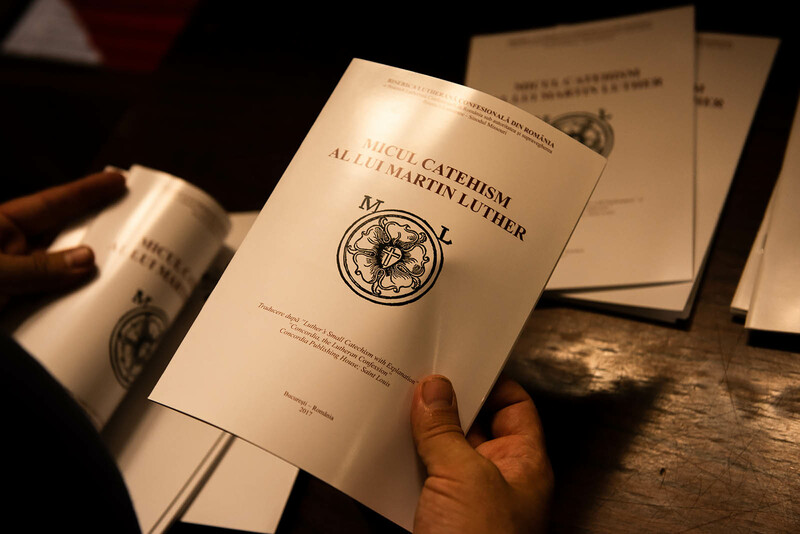 Both the catechism and Trifa’s book, which is translated as The Means of Grace in the Confessional Lutheran Church, are available for people when they come to worship. Trifa works not only to serve the people of Bucharest and Romania today, but to lay the foundation for the Church in generations to come. The written materials are part of that plan, and even Trifa’s regular appearances on TV have resulted in many looking to him for Lutheran answers instead of to the historic Lutheran church in Romania. Trifa and his family pray with visitors before lunch. Trifa’s family is inextricably tied to his mission, as he hosts Bible studies in his home and invites members and prospective members for meals. As with every mission and ministry, Trifa’s family works with him to share the Gospel. He and his wife, Florentina, often host families for meals to share the Gospel with them and encourage them in the faith. 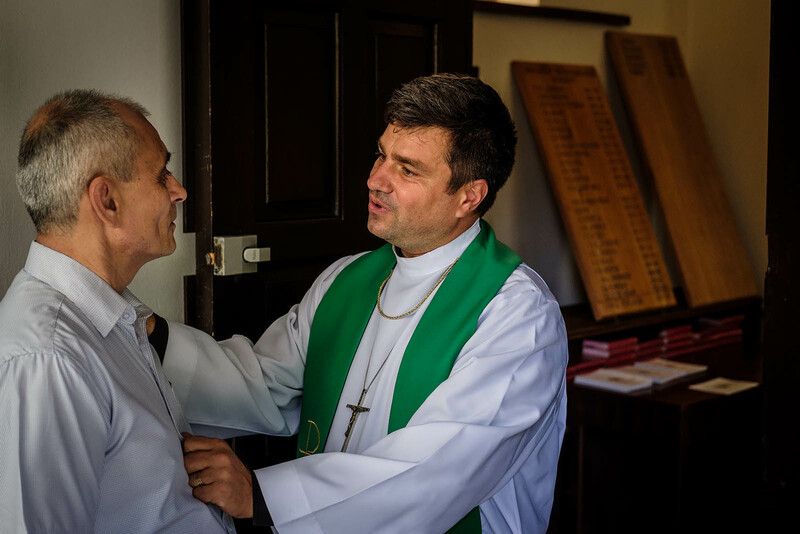 Sergiu currently serves the congregation as acolyte and lector, and he hopes to attend an LCMS seminary and then return to serve the church as pastor. 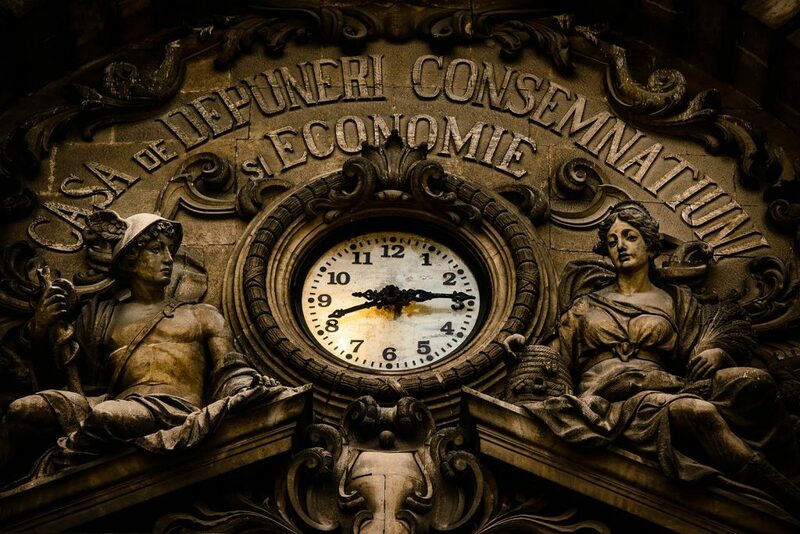 Faithful Lord, You continue to build Your Church throughout the world. Bless the work in Bucharest, Romania, as Pastor Trifa proclaims the Good News of salvation in Christ. Protect the Confessional Lutheran Church in Romania, and bring many to repent and receive the forgiveness of sins. Give Pastor Trifa strength as he studies and translates in addition to his pastoral duties. Bless also his son, Sergiu, as he seeks Your will for his vocation in the Church. We do not know all the ways You plan to grow Your Church, but we trust in Your promises to do so through Christ Jesus, our Lord. Amen.